Caption slip reads: "Photographer: Sandusky. Date 1958-11-29. Assignment: UCLA campus aerial views. Special Instructions: Caption must include words "Lind Flight Service." 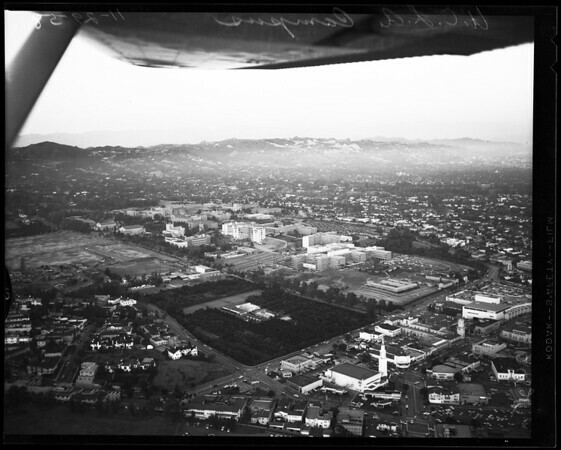 7 negs: Views of UCLA campus."